It might only be a toy, it's anything but ordinary – the Bionic Bird not only looks like a bird, it also flies like one! A French company developed the Bionic Bird, which can be controlled with a smartphone. 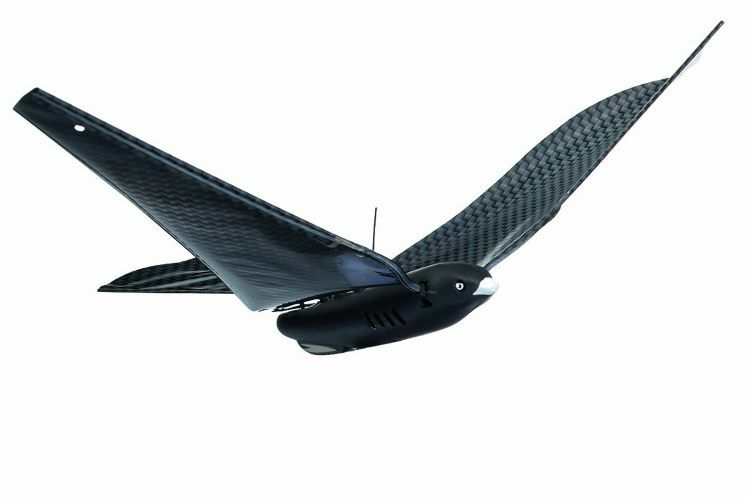 It achieves a speed of up to 20 km/h and has a range of 100 m. Its developers have been dreaming of an electrically driven bird for a long time, but it was only after the rise of light microtechnology that this vision could become reality. And now the Bionic Bird, which weighs only 9 g, is a fascinating alternative to the customary propeller drones. 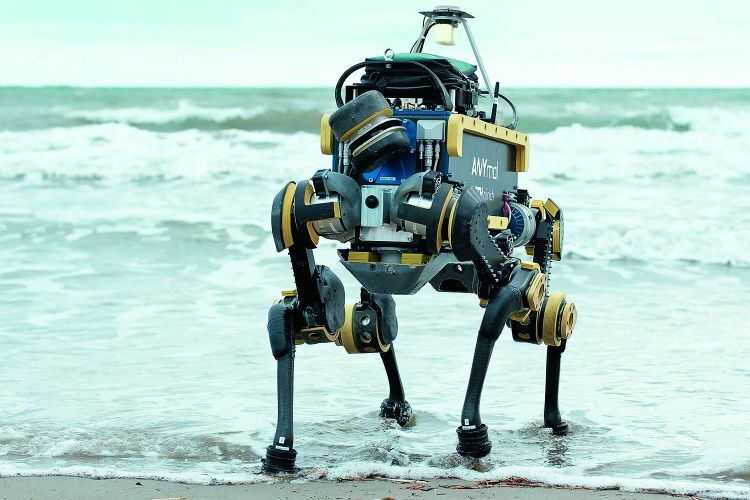 In 2009, engineers at the Robotics Systems Lab of the ETH Zurich started to develop a four-legged robot that can move autonomously and is intended for use in harsh conditions. ANYmal is now capable of running, conquering inclines, and even pressing the elevator button. With laser sensors and cameras, the robot continuously creates a map of its environment, knows where it is and carefully navigates through the terrain. ANYmal weighs around 30 kg, can carry a payload of up to 10 kg, and runs for two hours on a single battery charge. It is being distributed and further developed by the ETH spin-off ANYbotics. In the future, the robot, which is able to run, jump and climb, could be used for inspections, rescue operations, or in entertainment. The Norwegian start-up Eelume has developed a modular underwater robot in the form of a snake, for use in inspections, maintenance, and repair work. 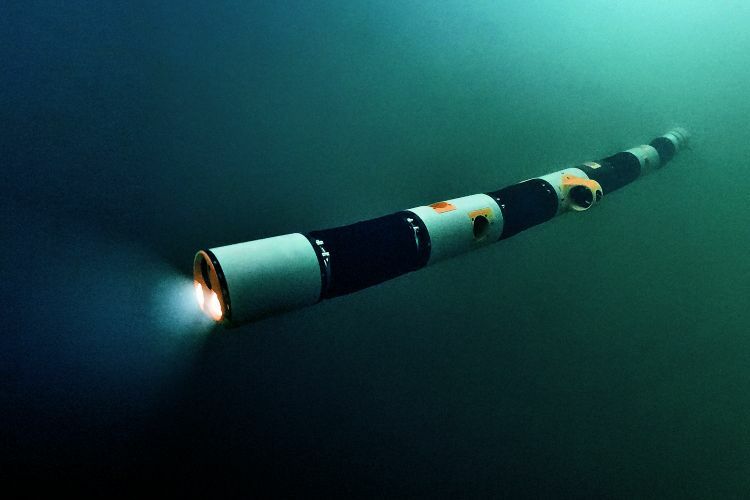 The slimline, flexible body of the robot can cross vast distances and also reach places that aren't accessible to conventional underwater robots. The engineers have been working on the snake robot for ten years and keep on developing it further. The plans for its future include keeping it on the bottom of the ocean indefinitely, at a docking station from where it can launch into action whenever needed. The underwater snake is currently still dependent on a cable. 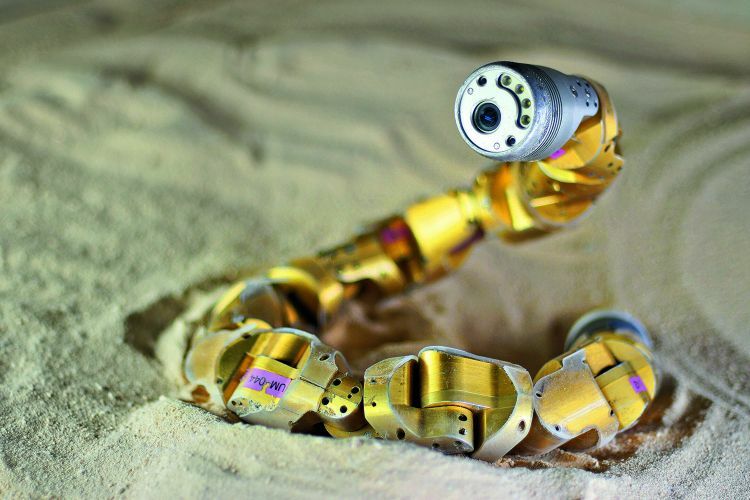 But it is already flexible and its moving connecting parts make it possible to use the snake as robot arm with mounted tools. maxon motor supplies brushless DC motors combined with customized gearheads for the connecting modules. Time and time again, the engineers at Festo present astonishing bionic concepts for the cooperation of humans and robots. That also holds true for one of their newest developments: The BionicMotionRobot. It is modeled after an elephant’s trunk and an octopus’s tentacles. The result is a pneumatic lightweight robot with twelve degrees of freedom that can carry a payload of three kilograms. Like the natural role models, the BionicMotionRobot offers flexible movement and can bend in three different directions at the same time. 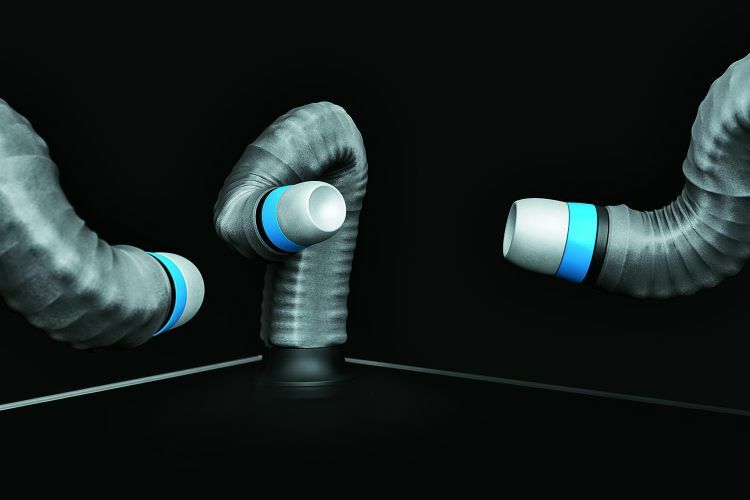 According to Festo, a skin made of innovative fiber technology inspired by the muscle fibers in an octopus’s tentacles makes it possible to exploit the full power potential of the kinematics.